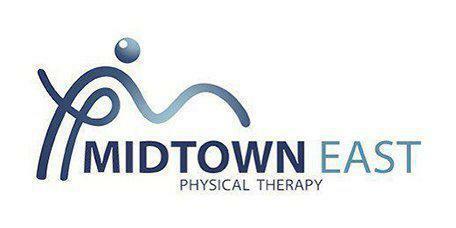 Midtown East Physical Therapy always appreciates feedback from our valued patients. To date, we’re thrilled to have collected 15 reviews with an average rating of 5 out of 5 stars. Please read what others are saying about Midtown East Physical Therapy below, and as always, we would love to collect your feedback. Greg and Dmitry are both experienced and knowledgeable therapists. Dr. Trakhtenberg manages a physical therapy office, where prevention and treatment services are provided at a highly satisfactory level. I have suffered from chronic back pain for years. Through the years, Ive tried many specialist and remedies and haven’t had any real lasting results. That was until a friend had recommended Omega PT and more specifically Dr. Dmitry. Not only does Dr. Dmitry a wonderful person, he TRULY knows his stuff! Ive been seeing Dr. Dmitry for a few months and have felt a SIGNIFICANT difference in the way I feel. I don’t have the ever so present ache every morning and can actually start my day with a smile. He is truly a knowledgeable, caring, and a one of kind physical therapist. I normally don’t write reviews, because heading a medical dept in a major hospital and a big family my time is limited. However, this is truly an exceptional place with a one of kind therapist!! Thank you, Dr. Dmitry – You’re the BEST! Dr. Dmitry is very knowledgeable, professional and caring person. He uses a technique that I haven’t seen in any other place (Strain Counterstrain Osteo Manipulation) that gave me unexpectedly lasting results. A few years ago I was diagnosed with cervical herniated discs with severe pain and tingling and strong squeeze in the right arm that got only worse over time. I went to see several doctors and physical therapists with almost no result. I didn't want to have a surgery so I looked for other options. My sister recommended me Dmitry and Gregory at Midtown East Physical Therapy. At the first meeting Dr. Dmitry was very thorough to diagnose my problem, explained me everything and gave me a personalized treatment plan. After going for treatments for a month, all my symptoms - the tingling and pain - were completely gone and haven't come back since then. This way I was able to avoid a spinal neck surgery. Every year I go back to see Dmitry and Gregory to make sure I my neck wouldn’t get worse. Dr. Dmitry and Gregory make an excellent team, their methods are different but their techniques complement each other very well. Gregory's excellent soft tissue massage and his amazing stretching technique plus the exercise plans he sent me in e-mails helped me a lot keep my neck in a good range of motion and live without pain and tingling. I highly recommend both of them. It's been great. I was back running in no time. I am so lucky that Dr. Dmity Shestakovsky was recommended to me. He is a great listener, he answered all of my questions, was very thorough when describing the treatment plan and not once condescending-which is refreshing. He made me feel very comfortable and I am glad that I have found a PT that I can trust. Greg is extremely knowledgeable and professional. He has helped me with back pain multiple times and also gives exercise tips both in the office and via email. I enjoy our sessions and plan to continue them for any other pain that may arise. I was suffering from Sciatica for about 5 years now, I made frequent visits to physical therapy clinics all over NYC, with little or no relief as i was given a bunch of exercises and stretches. I was recommended to Midtown East Physical Therapy by a co-worker of mine who had the same conditions and was treated successfully by Dr. Dmitry. I already gave up on finding any RELIEF, but my co-worker convinced me to schedule an appointment. After the first treatment with Dr. Dmitry I noticed a reduction in pain and after several visits i basically was PAIN FREE and doing things I initially gave up on. Dr. Dmitry use of an osteopathic method Strain-Counterstrain really got to the reason i was having such pain and fixed it. I recommend Midtown East PT to all my friends and colleagues without reservation. Gregory was very straightforward and easy to talk to. I felt comfortable with him the moment we met. Not only is he caring, but he is also solutions driven. He really listens and finds solutions to address his patients' concerns. You can tell he really cares about his patients!!! Greg is very helpful and very knowledgable in his work! At my first visit he put together a program for me and knew immediately after an assessment what would be the best route to achieve the best results from our physical therapy. It's been only a few weeks and I'm seeing progress. Not only that, but I'm feeling physically better than I have in years! I first came to Dr. Greg with what seemed like a hopeless situation after a poorly healed meniscus surgery and years of lower back, shoulder and elbow issues. I had significant pain just trying to walk to work or pick up my young daughter, and I had little expectation that I would ever fully return to a normal life. Dr. Greg utilized a combination of techniques and exercises that led to noticeable results in just a few weeks. Now no one would believe that I am the same guy that hobbled into Dr. Greg's office a couple of years ago. Last year they helped me quickly recover fro ma partially torn meniscus in order to run a 50-mile trail race and then less than two months later, I started and 11 weeks later completed the Grand Slam of Ultrarunning - 4, 100-mile mountain trail races. I currently have a small case of Patella Femoral Syndrome and the treatments are feeling great so far and I expect to be back out running again in under two weeks.